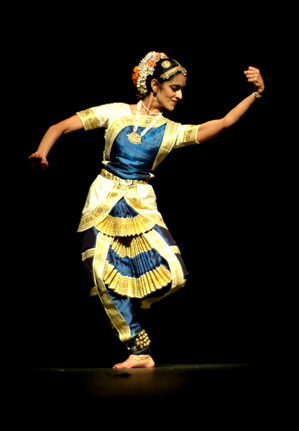 Anusha Fernando is the Artistic Director of Shakti Dance, and began her study of Bharata Natyam in 1990. She is the student of renowned teachers Jayalakshmi Eshwar and Jai Govinda. In 1995, she completed her Arangetram (traditional graduation performance) as a student of the Jai Govinda Dance Academy. She continues to study in both Canada and India. Anusha's work has focused on showcasing the depth of Bharata Natyam's solo repertoire and its interdisciplinary potential. In recognition of her dedication to performing and disseminating Bharata Natyam, Anusha has received awards from the Canada Council for the Arts, BC Arts Council, City of Vancouver, and the Shastri Indo-Canadian Institute. Anusha holds an honours degree in Religious Studies from McGill University and a Master's degree in Asian Studies from UBC. "Being married to the divine expresses an expansive union with the universe."